Our cameras captured the emotional moment Derrick Rose learned his hometown #Bulls traded him to the #Knicks. Here's a clip from the documentary when Derrick Rose was potentially going to be selected by the Bulls with the No. 1 pick, but Chicago had questions about Reggie Rose's history. Here's Reggie's account of the call and Derrick's response to the Bulls. @chancetherapper on what Derrick Rose means to the city of Chicago. Derrick Rose nearly left Memphis because of John Calipari. It’s Friday and time for Ask Sam! @SamSmithHoops answers your questions on Derrick Rose, the playoffs, talent hierarchy and more. Who was the last NBA player whose injury-proneness was as lamentable as Joel Embiid’s? Maybe Derrick Rose? Watch the #DRoseDoc anytime, anywhere. 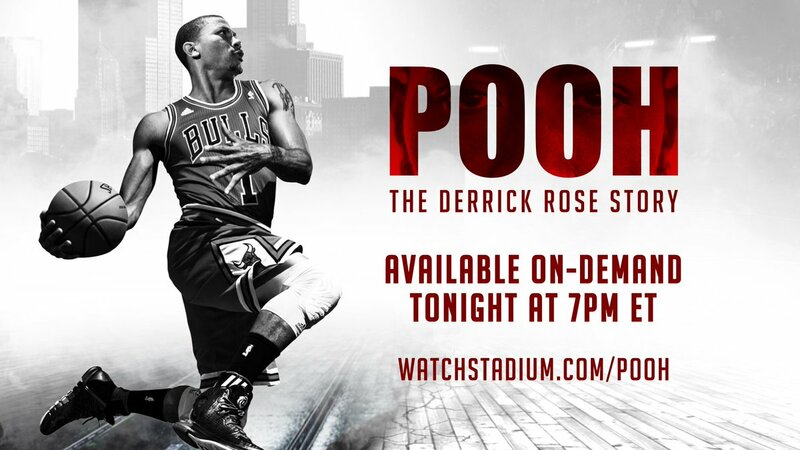 "Pooh: The Derrick Rose Story" is available on demand! Brandon Ingram and Derrick Rose just casually up in outpatient PT next to me. Only in LA. 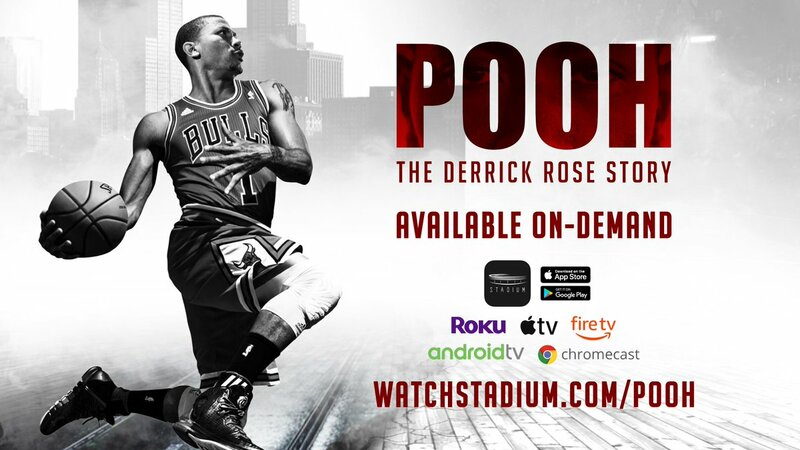 "Pooh: The Derrick Rose Story" is available on demand.